As recognizable as the calaveras of Dia de los Muertos, loteria cards bearing archetypal figures drawn by Don Clemente Gallo in a Tarot-esque fashion are fixtures of Mexican popular culture. The cards, employed in a bingo-like game of chance, have inspired countless designers and artists. La Luna (the moon) adorns a switchplate. The wall concealing the bathrooms in Fito’s Tacos de Trompo #2 on West Davis Street is painted with a loteria card mural. Four Corners Brewing Company in West Dallas models its beer labels after the cards. 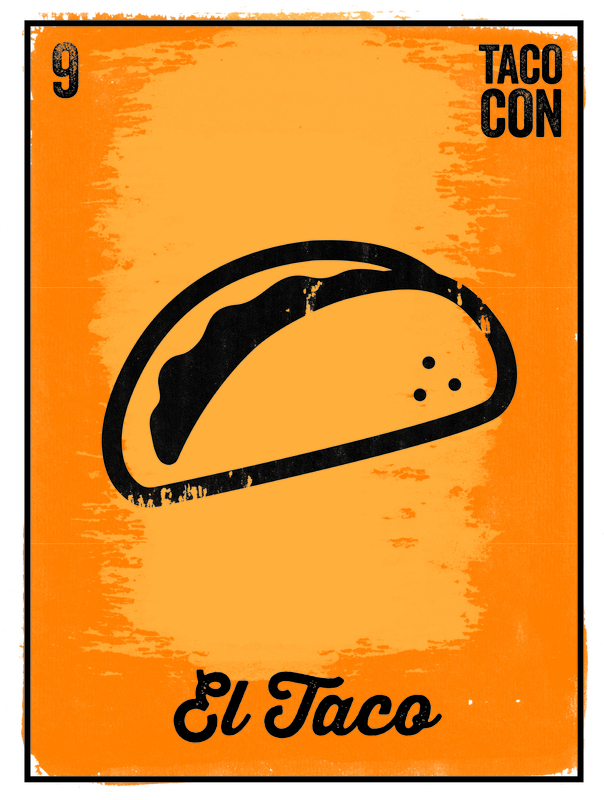 And since we’re partnering with them to present TacoCon (Cerveza), we’d thought we have a little fun with them too. In the run up to the festival, we’re releasing our own loteria cards, created by Alexander Flores. Print them. Collect them. 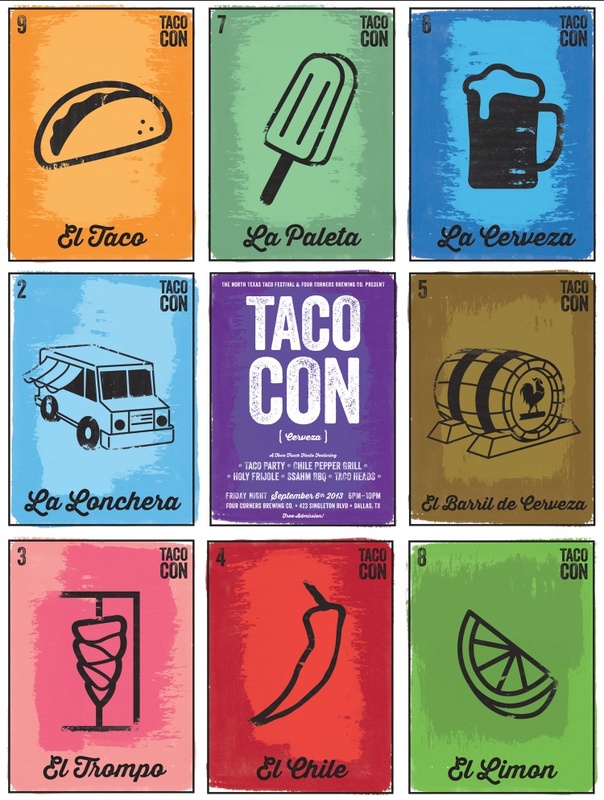 Bring them to TacoCon (Cerveza) and use them to vote for your favorite taco truck. 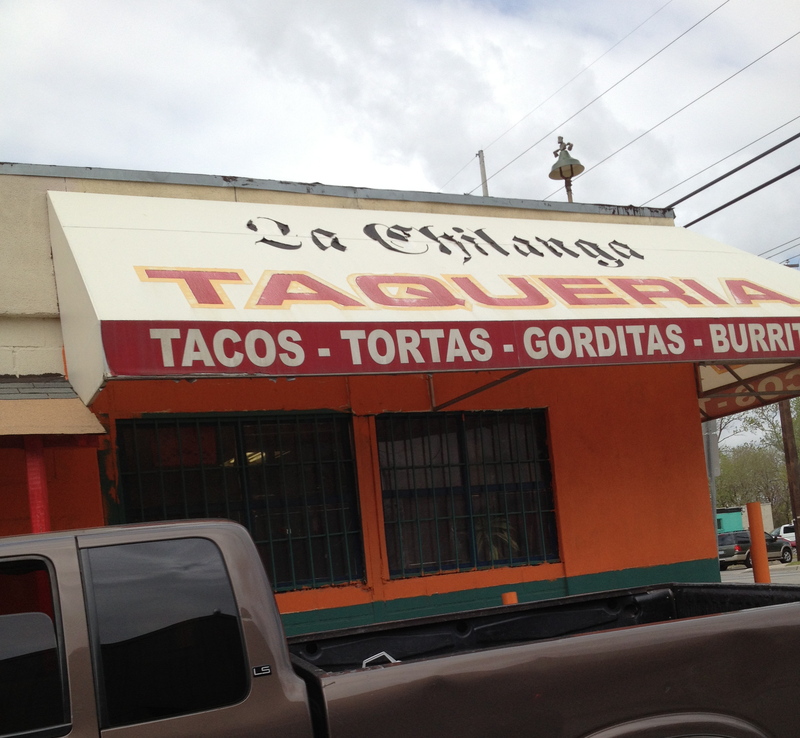 The first one, El Taco, is being released here. The rest will be available only on the North Texas Taco Festival Facebook page. 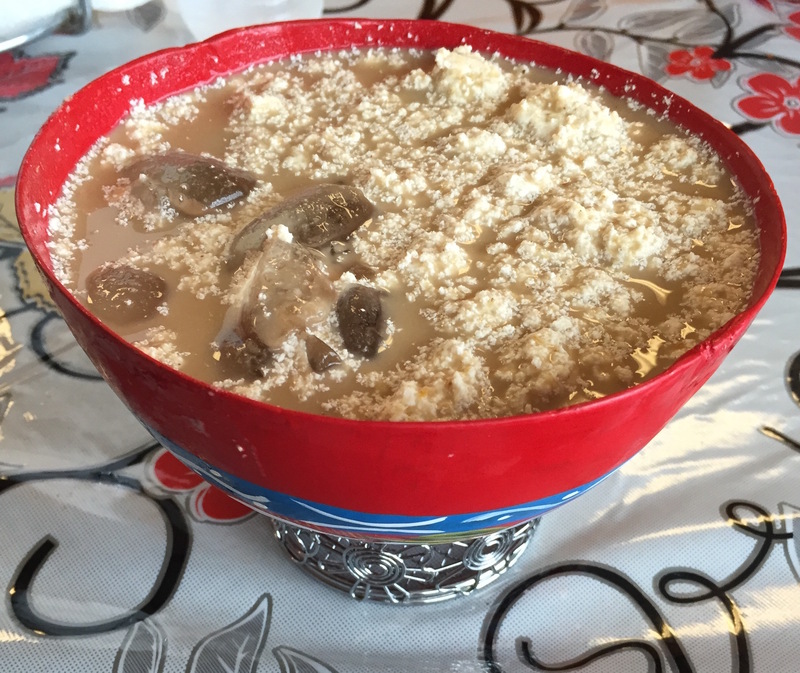 ¡Buena suerte!